Cardiovascular CT is a powerful diagnostic tool for select patients with congenital heart disease (CHD). The improved image quality and decreased radiation dose of newer generation CT scanners have expanded its use in this patient population. 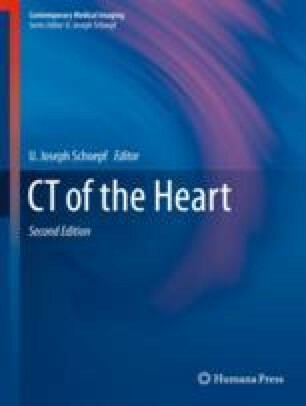 This chapter will give a brief overview of the indications, common residual lesions, and proposed scan modifications for the CHD lesions most commonly referred for cardiovascular CT.